Anyone that has fallen in love with the Hocking Hills will say there is no bad time to visit. 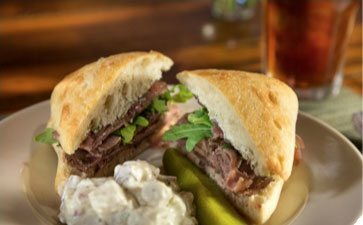 Our area is teeming with activity; you’ll find everything from excellent adventure opportunities and breathtaking views to an outstanding culinary scene and great local shopping. 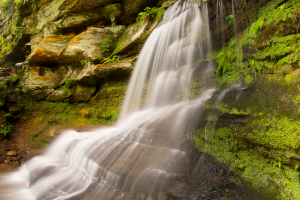 The allure of our area is there year-round, but your interests determine what is the best time to visit the Hocking Hills. Once you decide, don’t forget to access our complimentary Vacation Guide to help you plan your stay! When Is the Best Time to Visit the Hocking Hills? If you’re coming to the Hocking Hills to view our stunning waterfalls and April and May wildflowers, come in the spring. Rain is more frequent during this time, so it gives the waterfalls a strong and beautiful cascade. Temperatures generally range from 30 to 60 degrees. Be sure to get out and explore! The Inn & Spa at Cedar Falls is surrounded on three sides by Hocking Hills State Park, making it the perfect place to go on an adventure. Get our State Park Guide to learn all about things to do here! In the spring, you’ll be treated to views of early wildflowers, great fishing opportunities, birding, horseback riding, cycling, ATV riding, and more. In the summer, temperatures rise and range between 65 and 85 degrees. The summer heat is great for experiencing the outdoors. Enjoy the shade from the trees when you hike through the forest or opt for a canoe or kayak trip on the Hocking River. Try Fox’s Hocking Hills Canoe Livery for guided trips of different lengths. 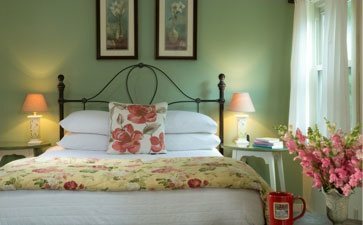 Don’t let the heat deter you; you are always welcome to have a relaxing getaway at the Inn & Spa at Cedar Falls. Visit the spa and rejuvenate for the weekend! Fall is one of the best times to visit the Hocking Hills because of the gorgeous foliage. Our area comes alive with color as the leaves change from green to gold, orange, and red. 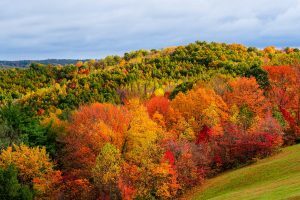 Since the trees are in such a beautiful state, it’s the perfect time to go on a ziplining adventure with Hocking Hills Canopy Tours, take a scenic drive, or hike through the forest to see the stunning colors. Plus, there are countless events and festivals celebrating the season that you won’t want to miss. Enjoy the mild weather before winter arrives! 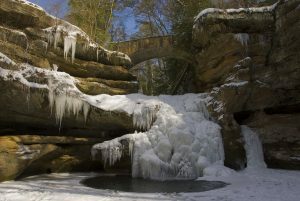 If you’re looking for peace and quiet, visit the Hocking Hills in the winter. Snow blankets the ground and creates a serene landscape. Many consider winter to be the off-season, but we know that there are countless things to do here. Bundle up and experience the beauty of the frozen waterfalls, which create a beautiful and unique display. 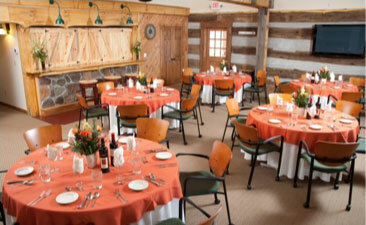 Then, come inside and warm up with a delicious meal at our restaurant, Kindred Spirits. A spa service is always a great way to combat the stresses of the winter holidays! After you figure out the best time to visit the Hocking Hills, the next step is to book your getaway at the Inn & Spa at Cedar Falls. We will help you find the best activities, attractions, and events to enjoy during your stay, no matter the time of year. 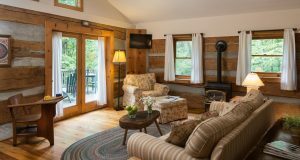 Browse our bed and breakfast rooms, cabins, yurts, and cottages to start planning your trip. We look forward to seeing you!